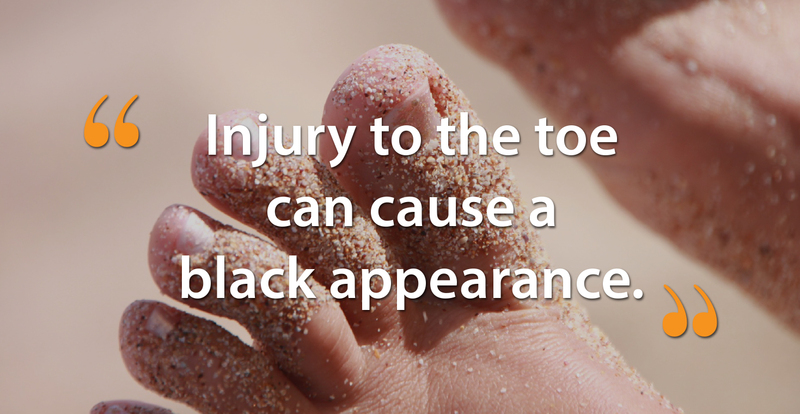 Black toenails are a condition known as subungual hematoma. They are usually caused by injury to the feet or from infection. While seeing a dramatic change in nail color can be startling, usually there is no cause for serious concern. There are several signs that could be indicative of this condition. In addition to black, be on the lookout for reddish or purplish nails. These could mean you have experienced injury to the area. Apart from a change in the hue, discharge from beneath your nail, as well as foul odor, could be a sign your nail is infected. Swelling and inflammation are also symptoms of subungual hematoma. Feelings of tenderness or pain in the region could mean you have trauma leading to darkened nails. There are two main reasons for this condition to occur. First, infection caused by bacteria or fungus. As the infection spreads throughout your feet, it can cause changes in the color and texture of your skin. Infections are easily caught in the unprotected environments of public facilities like pools, showers, and gyms. Be wary of sharing your locker room shower, particularly if you’re on an athletic team. Sports teams often share fungus as frequently as they pass the ball. If alternative showering arrangements are not available, be sure to shield your feet in protective shoes. Always wear sandals in the shower and pool-side. The second main perpetrator of black toenails is injury. Once again, athletes are particularly susceptible, as their feet are often exposed to rough-and-tumble games. Make sure the field you participate on is free of any holes or bumps that could lead to a dangerous fall. As with other activities, make sure cleats, boots, and sneakers fit your feet correctly. They shouldn’t be too snug or loose, and should always give your toes the ability to wiggle. David Beckham and Kobe Bryant aren’t the only ones who can get black toenails, however. Trauma can happen in various situations. Whether it’s stubbing your foot on an antique dresser or dropping heavy items onto your toes. Very rarely, the discoloration of subungual hematoma is actually spurred by a tumor. A good test to see whether your black nail is harmless or not is to observe it. As it grows, does the black spot move or lessen? If so, it’s probably just an injury. If the spot remains unchanged or unmoving it could be a sign of something more serious. In this situation you should see a doctor to have it evaluated. Black toenails do not have to plague your feet forever. They can be treated simply and effectively. Depending on the cause, your doctor may prescribe antifungal pills or creams. This will stop the infection thus the discoloration brought on by it. In the case of trauma to the area, simply allowing the nail to regrow on its own is often a viable cure. The old nail usually falls off, and a new healthy one grows in its place. Hygienic needles can be used to make a small incision to the region. The fluid is then drained from the area, restoring the nail to its normal color. Unless infection recurs or another injury happens, rarely will your nail remain dark. If you have concerns or questions regarding black toenails, please call Foot Doctor of the East Bay. 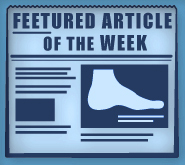 Dr. Michael Stein and Zeindelin Ahmad, DPM are happy to help with all of your foot care needs. Stop by any one of our offices in Los Gatos, San Leandro, or Pleasanton, CA.